Hispanic Heritage Month recognizes the influence la raza has had on American history and culture. The Latina American Students’ Organization hosts commemorative celebrations throughout the month. The Asian Students Association (ASA) and the Korean Students Association (KSA) co-sponsor a range of events highlighted by an Asian Teahouse and fall conference. November is a time to acknowledge the contributions of the first Americans. Indigenous Smith Students and Allies (ISSA) co-sponsor several events highlighted by an Anti-Columbus Day Teach-In and rally. Smith College encourages participation in the national movement to restore the intended meaning of the Martin Luther King Jr. Day—making it a day on, not a day off. In addition, commemorative programming is held after students return to campus for spring semester. A week-long remembrance of African Americans' history and accomplishments has evolved into a vibrant, month-long celebration. 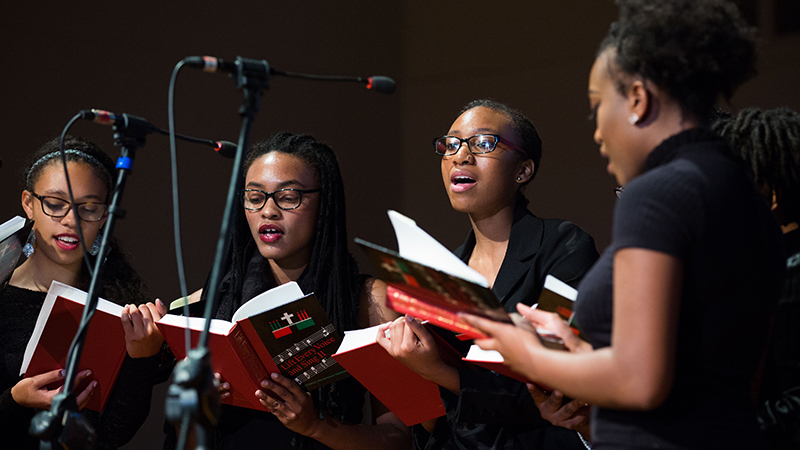 Smith College observes Black Heritage Month throughout February in conjunction with the Black Arts Festival, which is co-sponsored by the Smith Black Students' Alliance. Hosted by the Office of Multicultural Affairs, the Lunch & Learn Series, offered each fall and spring semester, addresses topics of particular interest to the undergraduate student of color experience. Typically, the series highlights resources and services available at Smith and the Five Colleges. Invitations are sent to students and lunch is provided. Smith College annually honors the pioneering courage of its first African American graduate, Otelia Cromwell, class of 1900. The entire college gathers for workshops, lectures, films and performances that focus on the topics of racism, diversity and community.